Lesley Lovejoy wins Ladies Cup! Thursday, May 3rd, Lesley Lovejoy has won this years Ladies Cup. In a crowded Father Teds Bar, 13 ladies competed against each other. First, Richard picked two numbers for defining the positions of the two byes on places 9 and 15. That did shake up the schedule. Since Marghareta of Interdarts couldn’t make it, Sanni was assigned a bye as well. Therefore, the first round consisted of only 5 matches. These five first round matches resulted in Kay, Fränzi, Lesley, Jo Turner and Jo McLaughlin entering the quarter finals. In those quarter finals, both Interdarts women Sanni and Fränzi won their games, making it an interdarts semi final. 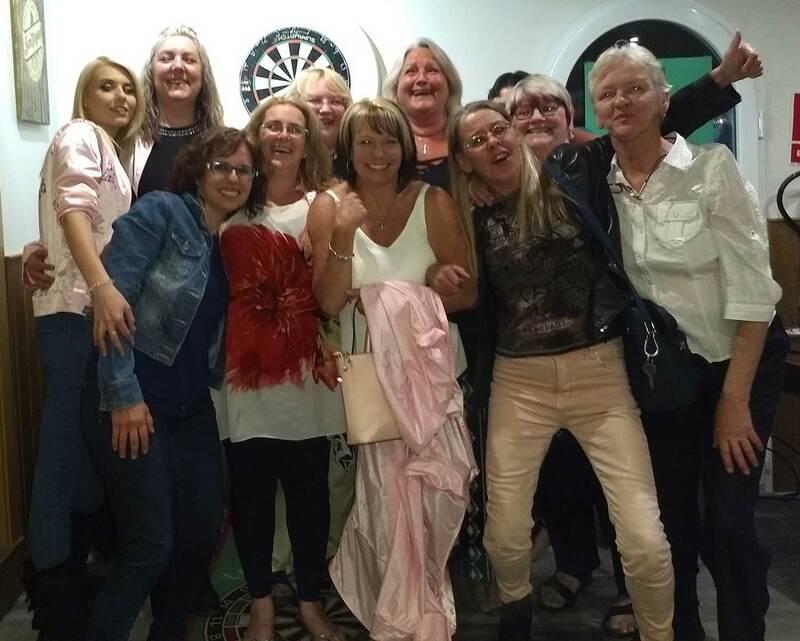 On the other side of the schedule, Lesley beat Elaine, and Jo McLaughlin had to win her second game against a fellow Pink Lady, Jo Turner. The semi finals Sanni – Fränzi and Lesley – Jo showed some really good darts. Playing 501, all 4 women reached a very high level, resulting in both Lesley and Sanni making it into the final. In the exciting final, Leyley took a 1-0 lead, but Sanni came back to 1-1. In the final leg, Lesley finished double 10 to win her second Ladies Cup, after Sanni winning it last year. Many thanks to Tim and his crew for hosting the final. 5 teams play in other venues now!